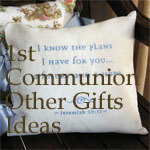 This makes a lovely rosary holder for one receiving 1st communion. 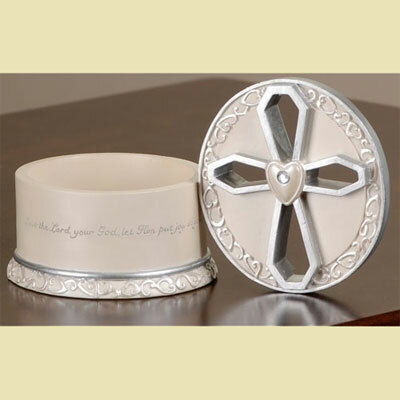 It is made of resin and stone mix with a cutout cross on the lid. The box is 2 3/4" wide and 3" tall.